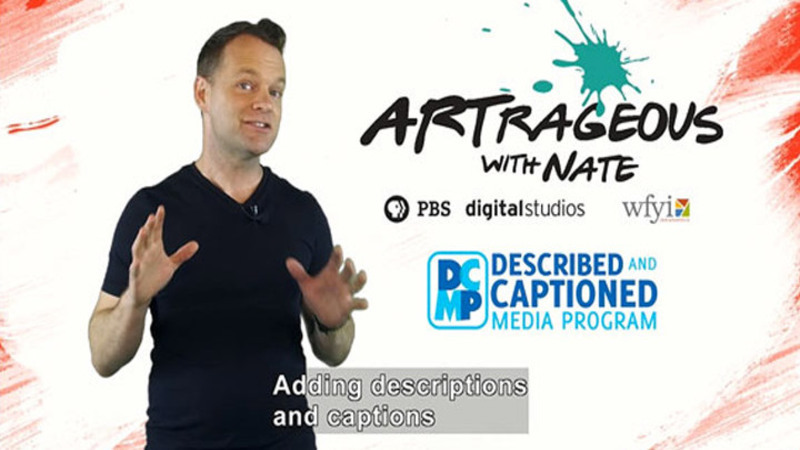 I want you to know how excited we are at "Artrageous with Nate" to have our PBS Digital Studios episodes accessible through DCMP. Our goal here at Artrageous is to simply inspire creativity. I believe that everyone has that capacity to be creative. I want everyone to get that message. Adding descriptions and captions to make videos accessible to visually impaired or deaf students is incredibly important to me. Thank-you for tuning in. Subscribe to our YouTube channel, connect with me on Facebook, Twitter, or Instagram @ARTRAGEOUSNATE. I would love to connect. And remember, be "artrageous."